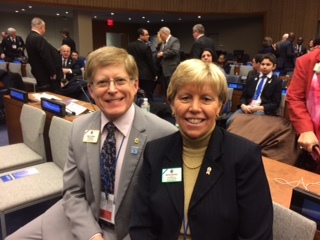 On Saturday, March 7, Lions from around the world met in New York City for the 37th annual Lions Day at the United Nations. While Kathy and I had visited the United Nations nearly 20 years ago, this experience was one we will long remember as our first “Lions Day” event. What a unique and uplifting experience this proved to be. I was one of five sitting International Directors in attendance; the others being ID Karla Harris, ID Kendra Smith, ID Steven Tremaroli, and ID Alexis Vincent Gomez. All of the current executive officers were present: President Joe Preston (and spouse Joni), 1st VP Dr. Jitsuhiro Yamada (and spouse Dr. Toshiko), 2nd VP Bob Corlew (and spouse Dianne), and Immediate Past President Barry Palmer. 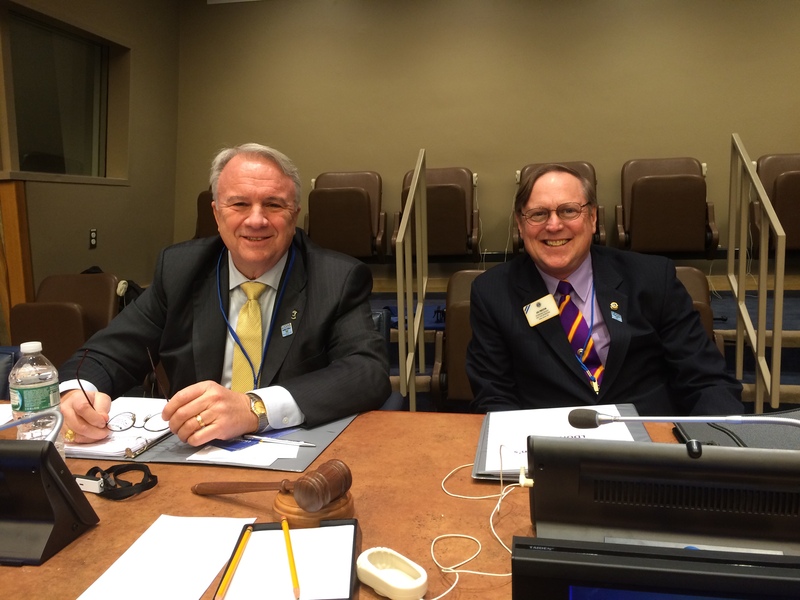 Past International President Al Brendel was the Lions Day at the UN Planning Committee Chair. 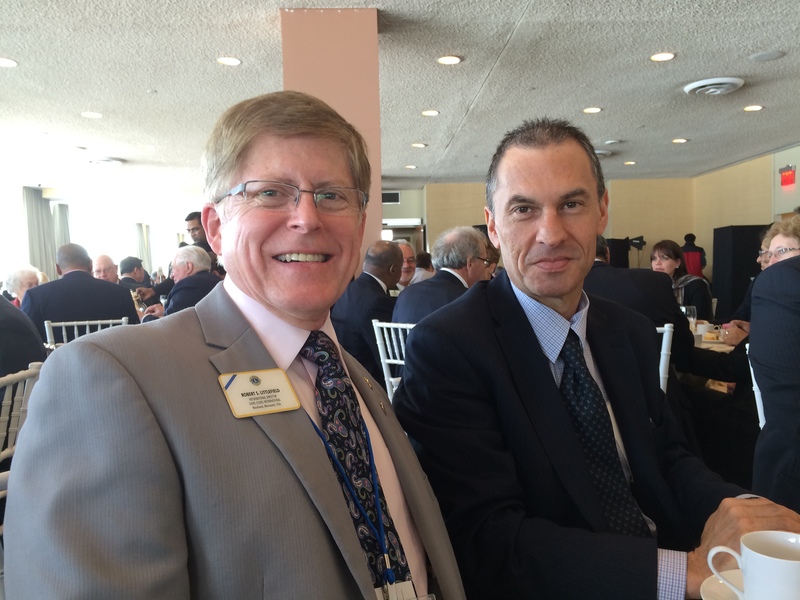 PIP Al Brandel and President Joe Preston led the programs at Lions Day at the UN. Many Past International Directors and other Lion dignitaries were on hand, in addition to Lions and guests from around the world. It was an exciting day having the opportunity to see old and new friends—especially those from New York who we met at the Toronto Convention in July and when we made an official visit to Fishkill, NY for the District 20-O convention in November. “When in my lifetime would I ever sit down to lunch with an Ambassador to the United Nations from Malta? Or dine at the same formal banquet table with Japan’s Ambassador? Incredibly, this happened. Since Lions Clubs International has partnered with UNICEF and the new sustainable development goals from the United Nations will further involve the Lions in the near future, I now understand the close connection between these two entities. And, that explains the opportunity that I had to talk with two UN Ambassadors. Remarkable. From Malta’s Ambassador Christopher Grima, I learned about the grave concerns that the Mediterranean states have regarding the unsettling political climate in North Africa and the Middle East. Malta recently closed its embassy in Tripoli, Libya. He indicated that the Maltese government is involved in talks to monitor Libya’s drive toward a more stabilized government. Also, of great concern to Malta, whose civilization dates back to 5,000 B.C., are the historical artifacts being destroyed by rogue pirates that Ambassador Grima called “barbarians.” The continued piracy off the northern coast of Africa poses serious danger to Malta as a tiny Mediterranean island with a long, proud history. Malta is a member of the European Union, so even though he does not participate in those meetings, he indicated that as a person whose entire career has been as a diplomat, he has enjoyed his second stint as an ambassador to the UN. It was an honor for me to be able to meet and converse with Ambassador Grima. Prior to Saturday’s events at the United Nations, we enjoyed a lovely banquet for Lion leaders and their guests at the Millennium Hotel at One UN Plaza. 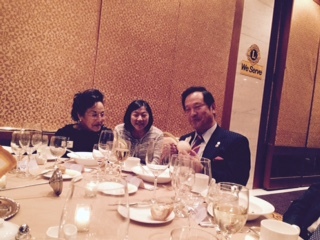 Seated at our table were Dr. Jitsuhiro Yamada and (Mrs.) Dr. Toshiko Yamada from Japan. He will serve as the 99th International President of Lions Clubs International for 2015-2016; so it was understandable that the Japanese Ambassador to the United Nations, Hiroshi Minami, joined us. He is one of three ambassadors assigned to the U.N. representing Japan. Because New York has a substantial number of Japanese nationals either residing in or travelling to New York, he spends considerable time communicating with them. He, too, is a career diplomat and infrequently returns to Japan. We were able to include our son, Brady, as a guest at the dinner—a special treat for us. 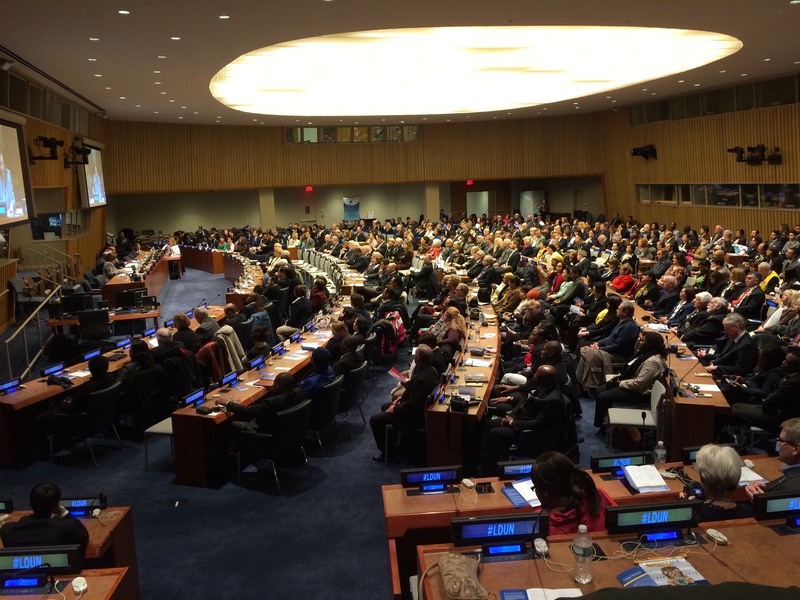 On Saturday, March 7, we experienced a full day of programs at the United Nations. The first panel presented the cooperation and affiliation between Lions and United Nations educational and environmental programs. The Ambassador from Kenya spoke about the goals of the United Nations that are in alignment with the Lions Clubs International goals and the need for continued affiliation. He gave several examples about the need for service demonstrated by Lions in preserving, protecting, and even restoring sight to vulnerable populations. Another panelist (from LCI) reported on the success of “The School in a Box” program. Through UNICEF, this has been implemented in places where natural disasters have made education impossible. Both here (after Hurricane Katrina) and abroad in places devastated by typhoons, earthquakes, etc (ex: Thailand, Indonesia, Haiti), this portable metal box has simple tools for a teacher to resume the learning process just 72 hours after the disaster. For $ 215 each, the simple kit enables a teacher to help students transition from a horrible event to some semblance of a familiar routine. The afternoon session was dedicated to specific children. At this event every year, a student is named as the winner of the Lions essay contest, which is open to children with severe vision loss. A young man from Ohio was awarded $5,000 as the grand prize winner. 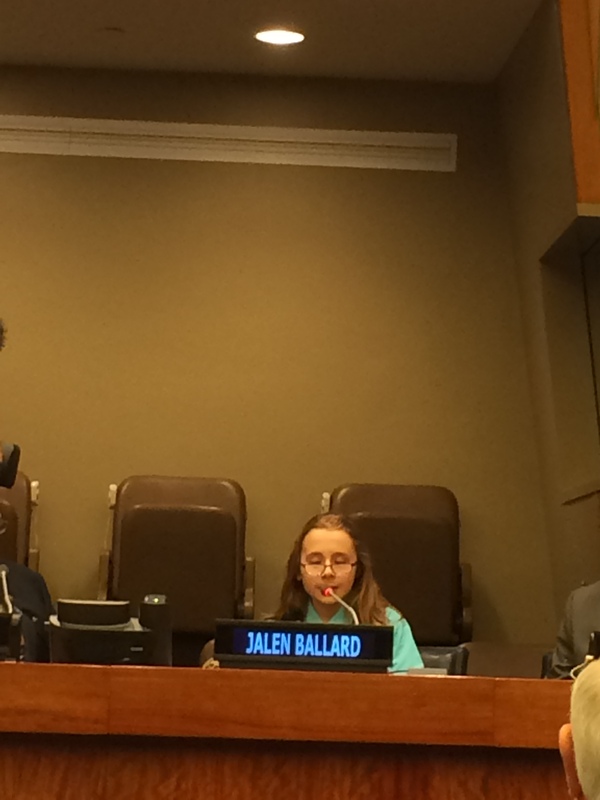 When he read from his Braille copy of his essay, the audience was emotionally impacted by his questions: “Why can’t people see me for what I can do rather than see me as a person who has a disability?” “ I can walk from point A to point B, get dressed, cut my own food, play games.” Jalen Ballard, age 12, reminded all of us about how we “see” people with special needs. President Preston helps to unveil the winning peace poster. 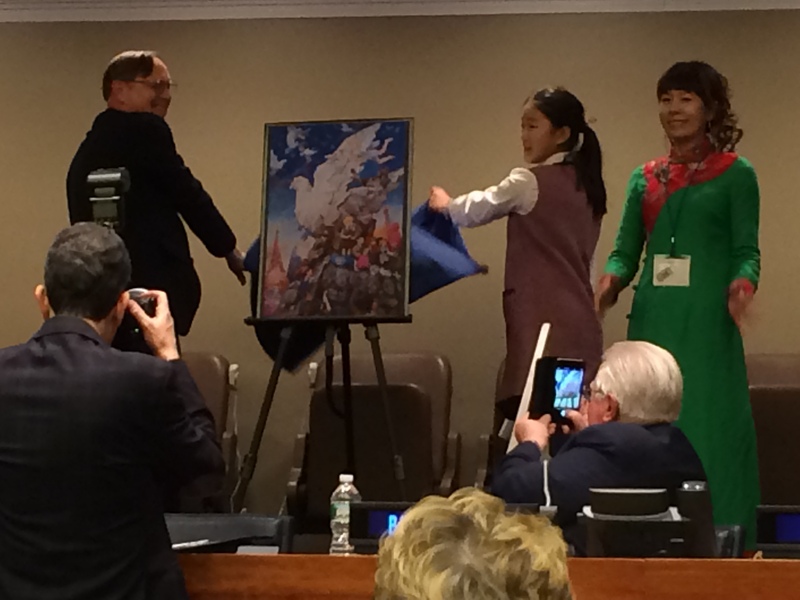 Also in attendance, but all the way from China, was a young girl who created the Peace Poster contest. She drew an impressive,complex design that reflected this year’s them of “Peace, Love, and Understanding.” At the unveiling of her drawing, Wei-Jin read in both Chinese and English, a detailed explanation of her entry. Winning $ 5,000 did not seem nearly as important as being able to travel to New York and see her poster on display at the United Nations. The final program may have been the highlight because it related to the most common service element among all Lions: vision. A pre-kindergartner named Breigh Leitten participated in a Rochester (NY) Lions pre-school vision screening. Using a borrowed camera from another Lions club, the volunteers reported to Breigh’s mother that the test showed a problem and encouraged the parent to take her daughter to their local optometrist. Mrs. Leitten told the volunteers that her daughter had just recently been to see their doctor and there were no problems, but she would make that return visit. Breigh had many tests, scans, and examinations in a short amount of time, but nobody was prepared for the crushing news that she had a fast-moving cancer that would not only take her vision in that eye, but threaten her life as well. The Leittens scheduled the surgery at the Children’s Hospital, still not 100% convinced that they were doing the right thing. Her eye was removed and the biopsy results two weeks later confirmed a very aggressive form of cancer. Later, a she was fitted with a prosthetic eye and resumed all normal activity. She continues to thrive today. Her story had such a profound impact on her community that fundraising efforts (recycling project) made it possible for the Lions to purchase their own Optix camera for vision screening and they have increased the percentage of screened children from 60% up to 70%. Of course the goal is to screen 100% of pre-schoolers. On Saturday night, we did enjoy some time with our son, Brady, and attended a Broadway musical entitled “If/Then,” starring Idina Menzel. We had great seats for the end of a great day! Our trip home on Sunday was a breeze as we soared above the clouds to a much warmer Fargo than we left. 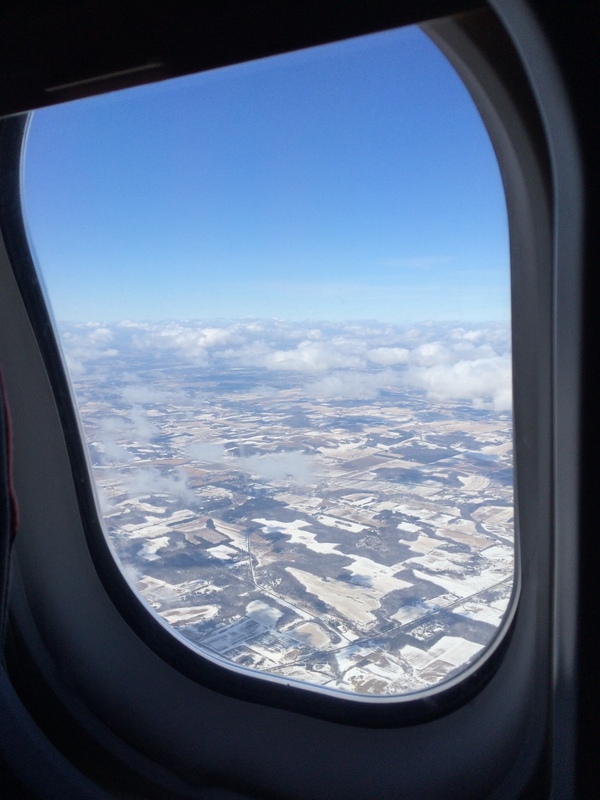 There wasn’t much snow on the ground upon our return to Fargo. As I post this entry, we are packing for our visit to Mobile, Alabama and District 34C. We will participate in the chartering of the Daphne Lions Club on Friday and the convention and cabinet meeting on Saturday. It promises to be a great weekend! Best wishes to all who serve.